Our goal is to make you enjoy a high quality event where you will have fun doing triathlon as much as we had fun organizing it. If you participated in the race, you will shortly receive a questionnaire asking you how you liked our event, how you spent it... We'd love to know what you think. TriStar Estonia has been possible thanks to the unwavering support of our sponsors! Thank you! Get ready for TriStar Estonia 2012! ;) You will get news very soon!!! Here are the official results for TriStar111 Estonia 2011. Full finishing protocol will go up on Monday, stay tuned! Thomas Hellriegel takes first place at TriStar111 Estonia! Second place goes to irish Bryan McCrystal. Third place to Estonian Kirill Kochegarov. First three out of the water at TriStar111 Estonia! Live information from spotters on cycling track coming soon! TriStar111 Estonia 2011 is about to start in 10 Minutes. 364 individual athletes will compete in the new Triathlon format focused on fun, environmental protection and social responsibility. 10 male professionals and 6 female professionals will be swimming 1km, cycling 100km and running 10km and trying to win today's race. 55 teams of 3 will start 11 minutes after the individual athletes, and we'll find out at the Finishline if the teams will manage to make up the difference. The run course is along the coast line of Pühajärve and consists of two back-and-forth loops, the first of which will take the competitors towards southwest and the other towards southeast from Pühajärve. The run course has three Energy stations. The finish of the race is at Pühajärve park. Olivier Marceau of Switzerland is two times triathlon world champion, and he participated three times in Olympic Games, which is quite remarkable. He’s a short distance athlete who converted to long distance, and who has now found his perfect race distance in the TriStar111 format, as it combines the best of both worlds for him. Olivier won the first TriStar111 he participated in in Monaco last year. He finished second in the second race in Nevis in April, while he won the StarMile2.5 Nevis~St.Kitts Cross Channel Swim. He won his TriStar111 in Mallorca in the same month. Olivier is a triathlon trainer and reads a lot in his spare time. Thomas Hellriegel is a German long distance triathlete. His biggest achievement is his win in the 1997 Ironman World Championship. Hellriegel was also second in the event in 1995 (behind Mark Allen) and in 1996 (behind Luc Van Lierde). Hellriegel set the bike course record at the 1996 championship race with a time of 4:24:50; which had stood for 11 years, until Normann Stadler finished the bike course in a new record time at 4:18:23. He is regularly racing in Estonia. Last year, he came third at TriStar111 Estonia. Born in Derby, England, but raised in Lanzarote, Spain, Ward has been a pro since 2008 to great results. 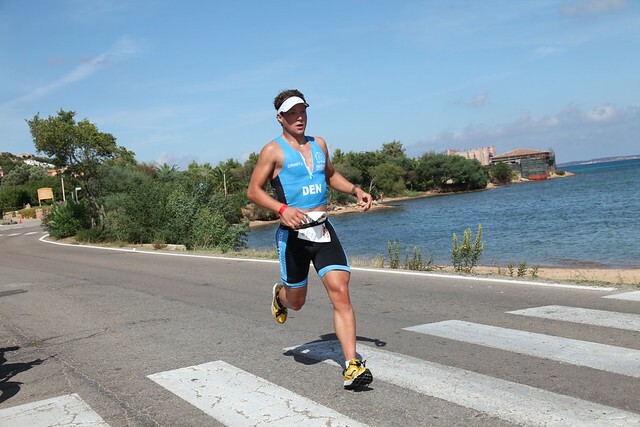 He has entered the Long Distance Triathlon European Championships and Ironman Hawaii. In 2010, he was 6th in Ironman Lanzarote, 5th in the Gran Canaria Long Distance Triathlon, and 9th in the Challenge Barcelona-Maresme. The year before, he had landed 5th in Ironman UK, 4th in TriStar Estonia, and 4th in the Long Distance Triathlon Spanish Championships too. The bike course runs through picturesque Southern-Estonian dome hills, passing several lakes. The course is quite difficalt for competitors and well observable for spectators. The most exciting location for spectators is the steep climb on Mäe street at Otepää. The 100km bike course consists of 3 loops (altogether 1100m of climb), the first of which is a bit longer. Counting loops is every racers own responsibility and it is checked by judges. Drafting is forbidden. Priit Ailt is an Estonian triathlete and Estonian Champion in half-ironman distance in 2010. Last year, in TriStar Estonia, he was the best estonian with 3:30 and 6th place. Kirill Kotšegarov is an Estonian triathlete. He started with triathlon in 2004 and won Pühajärve triathlon (former name of TriStar Estonia) half-ironman Estonian Championships and Ironman Florida in the 2009 as his first ironman-distance race. At TriStar111, he has very good chances for placing high in the race. Today it's Agu LEHEMAA's birthday! He is running at TriStar111.1 Relay with #518 and turns 48 today! His motto: "I will run past everyone!". Jaan Kirsipuu is an Estonian road bicycle racer and Estonian cycling champion. Kirsipuu has taken five stage wins from Tour de France (in 1998, 1999, 2001, 2002 and 2004) and wore the Tour de France yellow jersey for six days in 1999. At TriStar Estonia, Kirsipuu will be competing in the team race together with Kärt Kokk and Kaspar Kokk. Marko Albert is an Estonian triathlete who is 2-times Olympian. Multiple Estonian Champion in Olympic distance. He made in 2011 a new Estonian record in Ironman Distance - 8:08:17 - in Austria. He started his career as a swimmer. After 11 years, in 1997, he turned to triathlon. He will compete in Sunday as a swimmer in team "SiS - Science in Triathlon". This team is considered as one of the favourites to win. Gerli Padar is an Estonian singer who has represented Estonia in the Eurovision song contest. She is a beloved artist who in addition to singing has also performed in musicals and done work as a TV host. Participating in TriStar Estonia's Good Role Model project, Gerli took up triathlon training in spring 2011 and completed her first triathlon at Melliste. She will compete in TriStar Estonia in the 111-kilometer distance and after the race on Sunday, she will put her racing equipment up for auction at Pühajärve. Contra is an Estonian writer and poet. He grew up in southern Estonia and also worked as a postman here, delivering mail by bicycle on the dome-hilled terrain. He also has extensive experience in cycling and marathon competitions. Contra will compete at TriStar111 as part of TriStar Estonia's Good Role Model Project and this will be his first triathlon. According to himself, his main worry with triathlon is the switch from swimming to cycling which he hasn't practiced in training. Rein Kahro is a singer in the famous Estonian a capella band Noorkuu. For TriStar Estonia, they created a humorous song titled "Sports song" to popularize recreational sports in Estonia (the video can be viewed at http://youtu.be/RXhPbp58lcA ). Like other famous Estonians participating in the Good Role Model project, he too will has put his racing equipment up for auction to support Tallinn Children's Hospital. At TriStar Estonia, he will be racing in the 111km event. The swim course starts at Pühajärve beach line and every competitor must swim 1km. The team start is given 11 minutes after the individual start. Swimming takes place in Pühajärve, where the water is roughly 20°C. Good Morning for TriStar111 Estonia! It's Race Day morning in Estonia and the waters of Lake Pühajärv are still flat and calm. Athletes commence checking in their bikes and transition bags and get ready for the race entailing 1km of swimming, 100km of cycling and 10km of running. We'll post photos, twitter updates (from our spotters) and quick updates throughout the day. Use the LIVE RANKINGS tab in order to get access to the information coming in from the timing. Who is going to win TriStar111? Vote and win free pass to TriStar Estonia 2012! Who do YOU think is going to win TriStar111 Estonia 2011? Check out Star Events fan page on Facebook and vote for your favourite. At the end of the race, we will choose a lucky winner who gets free entrance to TriStar Estonia 2012. You can now see today's TriStar11.1 and TriStar33.3 photos at our Photo page. Check it out! Here are the preliminary results for TriStar33.3 event at Pühajärve. 14-year-old Vasiliy Krestyaninov who reached 1st place in the TriStar11.1 event, got 3rd place in this event! From left: Peep Leino, Deniss Dubovik, Vassili Krestjaninov, Allar Soo. Congratulations to all the winners, more detailed finish protocol and pictures coming soon. Urmas Kruuse is an Estonian politician who has been the mayor of Elva and since 2007, mayor of Estonia's student capital Tartu. At TriStar Estonia, Urmas will be taking on the challenge of the 33,3 kilometer on Saturday. In cooperation with TriStar, Urmas put his racing bike up for an auction to support Tallinn Children's Hospital - so far, the auction has collected over 450 euros in support of children at auction portal www.osta.ee. StarRun5 and TriStar11.1 official results up! You can now view yesterday's charity race StarRun5 and today's children's race TriStar11.1 official finishing protocols at TriStar Estonia's homepage. Results for TriStar33.3 and Tristar111 will be posted there as well, so keep checking back. The first female finisher was Laura Kallas (EST) (26m37s). Congratulations to all the winners! Altogether there were 130 competitors at the starting line. Today it's Rasmus LIIRA's birthday! He races TriStar33.3 with #15 and turns 15 today! His motto: "My 15th Birthday is today". TriStar 11.1 has just kicked off, after doing the 100 meter swimming distance, the young triathletes got on their bikes and started the 10 kilometer cycling distance. Best of luck to all of them and we'll keep you updated with the results! To keep yourself updated on the triathlon doings at Pühajärve, Estonia - check out the live photo coverage page, which will be renewed constantly throughout TriStar Estonia. Here is a video recap of TriStar Estonia 2010, when over 600 athletes participated in triathlon events at Pühajärve. Last year, the winners were Philip Graves for men and Desiree Ficker for women. Following TriStar Estonia's kick-off event StarRun5, a zipline race was held between international triathletes, Estonian athletes and TriStar Estonia sponsors. The zipline race took place at Otepää Adventure park and consisted of ziplining a 2x250m distance and running up a hill. Amongst other athletes, head of TriStar Estonia Ain-Alar, Esben Hovgaard, Thomas Hellriegel and Nicholas Ward Munoz participated. The race was timed and the competition was fierce, but in the end, Estonian athletes emerged as the winners - a new track record was set by Estonian skier Peeter Kümmel. Tomorrow, TriStar Estonia continues at 10:00 Estonian time when the children's 11,1-kilometer triathlon starts. TriStar Estonia kicked off today with charity run StarRun5. Amongst others, Esben Hovgaard, Nicholas Ward Munoz and Thomas Hellriegel participated in the run. Over 100 people were on the starting line to support Tallin Children's Hospital and Pühajärve Park. Half of the participants were male and half female. TriSmile was the most active club in the run and 90% of the runners were Estonian. Many of the participants in the charity race will also compete at the TriStar Estonia 111-kilometer triathlon. "I am very glad that for the first time that we organized the charity race, so many people came to run for a good cause," said Ain-Alar Juhanson, head of TriStar Estonia, who also participated at StarRun5. Altogether, nearly €500 was collected from the run for charity causes. Are you already part of the Star(t) list of the 5k Charity Run? TriStar Estonia should be synonymous for fun and quality. Another pillar of TriStar is social responsibility, therefor the event supports Tallinna Childrens' Hospital and Pühajärve Park's renovation fund. Tallinn Children's Hospital Foundation is a charity fund, which aims to help Tallinn Children's Hospital to become more child-friendly with the best possible medical care. Tallinn Children's Hospital Foundation is the largest children's hospital in Estonia. Hospital has 184 beds and 15 daycare places. Nearly 12 000 children a year are treated, of whom about 400 are being treated in intensive care units. About 4,000 children have medical surgery in a year. Together with LIVESTRONG™, TriStar Estonia supports the local institutions, and all donations will go directly to Tallinna Childrens' Hospital and Pühajärve Park's renovation fund without any detours to Livestrong or elsewhere! Please, show you care, wear the Livestrong wristband of your visible sign of your support and sign in now! Otepää, also called Estonia's Winter Capital, carries its title for a good reason - it is Estonia's largest center for sports in the winter, but also in the summer. The dome-hilled Southern Estonian landscape provides an excellent proving ground for skiing, cycling, running and other endurance sports. Here the world-famous Tartu Marathon begins and the steep hills of Kääriku are notorious amongst skiers. During the summer, Otepää is the perfect place for triathletes and everyone else who wish to enjoy beautiful nature and challenging terrain. Triathlon is still a new sport in Estonia, but it is rapidly gaining popularity. This summer, two large triathlons have been held so far. Both triathlons have had over 200 participants and have occured during extraordinary weather conditions. In the middle of June, the season opening Melliste triathlon (25,5km) was held in sunny weather while in the rest of Estonia rain was pouring down. In July, Valga triathlon (113-kilometer) was a true challenge for triathletes as during the 21,1-kilometer running part of the triathlon, there were nearly 30 degrees of heat outside. Hopefully TriStar Estonia's 111-kilometer event at Pühajärve will have perfect weather. The ever growing popularity of triathlon can be seen at TriStar Estonia as well - during this weekend, Estonia's largest triathlon ever will be held, with roughly 900 athletes putting themselves to the test. World Champions Olivier Marceau (SUI) and Thomas Hellriegel (GER) confirmed their participation, so it will be a great duel on Sunday, as both athletes want to grab the win and beat other strong PROs Nicholas Peter Ward Muñoz (SPA) and Esben Hovgaard (DEN) who will come to make the race faster! Local athletes - Estonian Champion Priit Ailt (EST) and Florida Ironman Champion Kirill Kotšegarov (EST) are here to make competition stronger and harder for others! There are at least four woman PROs for a win - Lanzarote Ironman winners Rachel Joyce (GBR) and Tiina Boman (FIN), Le Tour de France stage winner ex-pro-cyclist Tanja Slater (GBR) and Estonian Champion Alma Sarapuu (EST). Take the opportunity to talk to the athletes in Pühajärve, you'll see there is a relaxed atmosphere, we're looking forward to having you at TriStar Estonia! Tomorrow you will receive a special delivery in your emailbox! Stay tuned! Coming up: TriStar111 Estonia 2011 Live Coverage this weekend! There at TriStar111 Estonia! The next live Event covered on TriStarLive.com will be TriStar111 Estonia on 6/7 August 2011.